It seems only fair to assess Victims’ latest within the narrow context of their own catalog. As a band with little interest in straying from the well-worn path laid by bands like Discharge, Disfear and From Ashes Rise, it’s almost inconsequential to evaluate them with a yardstick that covers the broad swath of heavy music. It would be akin to judging the merit of A Nightmare on Elm Street 3: Dream Warriors against the works of David Cronenberg. It may not hold a candle to Cronenberg, but that doesn’t matter. Within the canon of Elm Street films, it’s the second best in the series, and sometimes you just want to see a horror movie without the pretense. This is not to imply that Victims aren’t putting out great albums—it’s just to contextualize the lens that’s best suited to view them. In Sirens, I wish that a little more of A Dissident’s layering and urgency were present. That release made it seem like Victims were on the road to further expanding their style, but on Sirens, they’ve contracted a bit, refocusing on a steady D-beat sound augmented by melodic flourishes—something at which they excel. For some reason, it reminds me of the transition from Rancid’s Life Won’t Wait to their self-titled follow-up. Both are albums I enjoyed, but Rancid dropped most of the progress of Life Won’t Wait and offered a straight-ahead record—focusing squarely on a grittier punk sound. In a parallel manner, Victims have done the same on Sirens. The more noticeable and remarkable pieces on A Dissident are hinted at on this, their sixth album, but are overshadowed by the metronomic beat of the D-beat drum pattern—which is only intermittently interrupted—and the tripleted phrasing of lead singer Johan Eriksson. This isn’t to say that originality or memorable lines are absent. The first three tracks are certified bangers, blazing by in a furious amalgam of earworming guitar leads, cannon-like drumming and anthemic vocals. The closing track, “Ashes,” is a somber denouement to an otherwise full-throttle album—a reminder that Victims go deeper than their genre tag would suggest. At the same time, about halfway through the album, the songs began to blur, and I realized that my attention drifted no matter how many spins I gave the album. Ultimately, this is why I hesitate to dedicate the same praise to Sirens that I did to A Dissident. 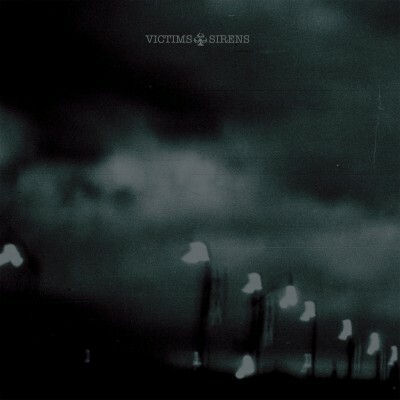 There is still much to recommend about Sirens, especially if you’re a fan of D-beat. It’s tightly performed, and the production lends a meaty, full sound. The vocals are buried a little in the mix, but the bass is audible and the drums still retain much of the decay in the toms and bass drum. In this era of loud, loud, loud, it’s nice to hear something that at least masquerades like it’s produced well. I would venture (even if, I don’t have a Dynamic Range meter) that this is also a loud release.